It was established at the time of establishment of the Govt. Sanskrit College. The foundation stone of the building was laid on the occasion of the visit of Prince and Princess of Wales on 16 nov. 1907. The building was completed in 1914 and it was named ‘the Prince of Wales Saraswati Bhavan’ The library underwent a number of changes after the establishment of the University. Six year after the University came into its existence a large new building was constructed to accommodate printed books. The framed Saraswati Bhawan building was earmarked for manuscripts only. In 1988-89 an air conditioned building was constructed for its preservation and maintenance. The Library has a collection of more than one lakh manuscripts of different Sanskrit text. In its printed section there are more than one lakh ninety thousand printed books. There is also the facility for microfilming and Photostat of manuscripts. 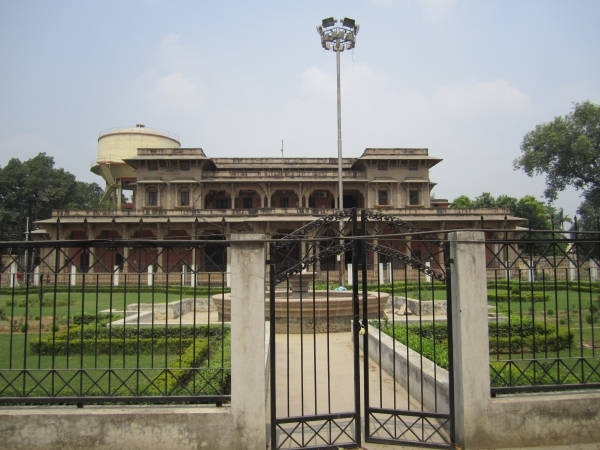 Since its inception the Saraswati Bhawan has been centre of study for serious Indian and Western scholars.